Abstract: In this paper a power electronic interface circuit is proposed for application of battery electric vehicle, the battery is been charged by using a Photovoltaic cell and a Wind Energy Conversion System. The power flow in the battery vehicles is managed by implementing the power electronic interfaces. The interface comprises of the integration of Bidirectional Chopper, DC link, and Multi Operational Inverter for the conversion of AC to the system. The overall performance of the system is enhanced with the help of the Power Flow controller. The simulation has been analyzed by using MATLAB/SIMULINK and a hardware prototype is implemented. Keywords: Bidirectional Chopper, Battery, Multi-operation Inverter, Motor, PV, Wind. 1. Omar Hegazy, Ricardo Barrero, Joeri Van Mierlo, Philippe Lataire, Noshin Omar, and Thierry Coosemans “An Advanced Power Electronics Interface for Electric Vehicles Applications” IEEE transactions on power electronics, vol. 28, no. 12, Dec 2013. 2. C. C. Chan, A. Bouscayrol, and K. Chen, “Electric, hybrid, and fuel-cell vehicles: Architectures and modeling,” IEEE Trans Veh.Technol.,vol.59, no. 2, pp. 589–598, Feb. 2010. 3. Emadi, Y. J. Lee, and K. Rajashekara, “Power electronics and motor drives in electric, hybrid electric, and plug-in hybrid electric vehicles,” IEEE Trans. Ind. Electron, vol. 55, no. 6, pp. 2237–2245, Jun. 2008. 4. Y.-J. Lee, A. Khaligh, and A. Emadi, “Advanced integrated bidirectional AC-DC and DC-DC converter for plug-in hybrid electric vehicles,” IEEE Trans. Veh. Technol., vol. 58, no. 8, pp. 3970–3980, Oct. 2009. 5. O. Hegazy, J. Van Mierlo, and P. Lataire, “Analysis, modeling, and im-plementation of a multidevice interleaved DC/DC converter for fuel cell hybrid electric vehicles,” IEEE Trans. Power Electron., vol. 27, no. 11, pp. 4445–4458, Nov. 2012. 6. Y.-C. Kuo, T.-J. Liang, and J.-F. Chen, “Novel maximum-power-pointtracking controller for photovoltaic energy conversion system” IEEE Trans. Ind. Electron., vol. 48, no. 3, pp. 594–601. 7. Jung-Min Kwon, Kwang-Hee Nam and Bong-Hwan Kwon, “Photovoltaic Power Conditioning System With Line Connection” IEEE Trans. Ind. Electron., vol. 53, no. 4, pp.1048-1054. 8. C. Gordillo, E. Rodriguez, A. Lopez, J. Hurtado, J. Diaz, N. Vazquez “Battery Charger with Maximun Charge Tracking Current for PV Systems” Trans. Inst. Electr. Eng. Jpn., vol. 121-D, no. 12, pp. 1263– 1269, 2001. 9. Alireza Khaligh,, and Serkan Dusmez, “Comprehensive Topological Analysis of Conductive and Inductive Charging Solutions for Plug-In Electric Vehicles”IEEE trans on vehicular technology, vol. 61, no. 8, oct 2012. 10. C. C. Chan, Alain Bouscayrol, and Keyu Chen, “Electric, Hybrid, and Fuel-Cell Vehicles: Architectures and Modeling”IEEE Trans on vehicular technology, vol. 59, no. 2, feb 2010. 11. U. K.Madawala, P. Schweizer, and V. V. Haerri, “Living and mobility— “A novel multipurpose in-house grid interface with plug-in hybrid BlueAngle,” in Proc. 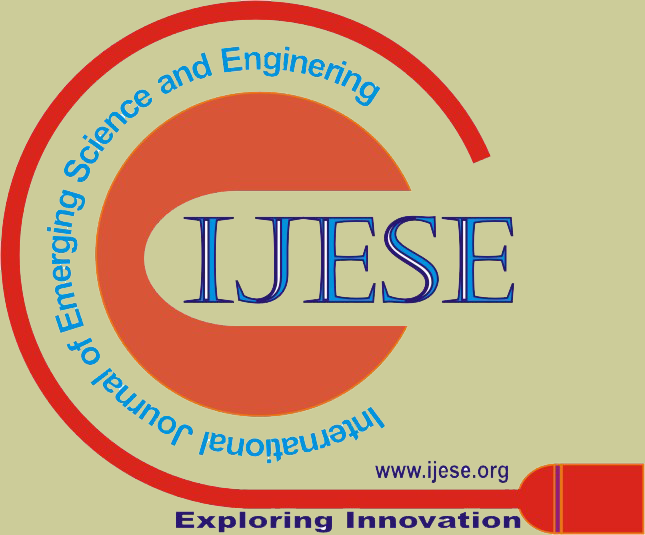 IEEE ICSET, Nov. 24–27, 2008, pp. 531–536. 12. S. Labatt and R. R. White, Carbon Finance: The Financial Implications of Climate Change. Hoboken, NJ: Wiley, 2007. 13. K.Wang, C. Y. Lin, L. Zhu, D. Qu, F. C. Lee, and J. S. Lai,” Bidirectional dc/dc converters for fuel cell systems,” in Proc. IEEE Power Electron.Transportion,1998,pp.47-51. 14. G. R. Walker and P. C. Sernia, “Cascaded DC–DC converter connection of photovoltaic modules,” IEEE Trans. Power Electron., vol. 19, no. 4,pp. 1130–1139, Jul. 2004. 15. T. Shimizu, O. Hashimoto, and G. Kimura, “A novel high-performanceutility-interactive photovoltaic inverter system,” IEEE Trans. Power Electron.,vol. 18, no. 2, pp. 704–711, Mar. 2003. 16. L. Chang, R. Doraiswami, T. Boutot and H.Kojabadi, “Development of a Wind Turbine Simulator for Wind Energy Conversion System,”IEEE CCECE2000 Canadian Conference on Electrical and Computer Engineering, Halifax, Canada, May 2000. 17. H.J. Chiu and L.-W. Lin, “A bidirectional DC-DC converter for fuel cell electric vehicle driving system,”IEEE Trans. Power Electronics., vol.21,pp.950-958, jul. 2006. 18. Mullane and M. O’Malley, “The inertial response of Induction machine-based wind turbines,” IEEE Trans. Power Syst., vol. 20,no. 3, pp. 1496–1503, Aug. 2005. 19. Tapia, G. Tapia, J. X. Ostolaza, and J. R. Saenz, “Modeling and control of a wind turbine driven doubly-fed induction generator, ”IEEE Trans. Energy Conv., vol. 18, no. 2, pp. 149–204, June 2003. 20. M. Chinchilla, S. Arnaltes, and J. L. Rodriguez-Amenedo, “Laboratory set-up for wind turbine emulation,” IEEE ICIT Conf. Proc., vol. 1, 2004, pp. 553 - 557. Abstract: In computer vision, image segmentation is always selected as a major research topic by researchers. Due to its vital rule in image processing, there always arises the need of a better image segmentation method. Clustering is an unsupervised study with its application in almost every field of science and engineering. Many researchers used clustering in image segmentation process. But still there requires improvement of such approaches. In this paper, a novel approach for clustering based image segmentation is proposed. Here, we give importance on color space and choose l*a*b* for this task. The famous hard clustering algorithm K-means is used, but as its performance is dependent on choosing a proper distance measure, so, we go for “cosine” distance measure. Then the segmented image is filtered with sobel filter. The filtered image is analyzed with marker watershed algorithm to have the final segmented result of our original image. The MSE and PSNR values are evaluated to observe the performance. A. K. Jain, M. N. Murty and P. J. Flynn, “Data Clustering: A review”, ACM Computing Surveys, vol. 31, no. 3, 1999. Dibya Jyoti Bora, Anil Kumar Gupta, “Clustering Approach Towards Image Segmentation: An Analytical Study”, IJRCAR,Vol2,Issue 7,July 2014, pp. 115-124. A. Jurio, A comparison study of different color spaces in clustering based image segmentationnn, IPMU (2010). Amanpreet Kaur Bhogal, Neeru Singla,Maninder Kaur, “Color image segmentation using k-means clustering algorithm”, International Journal on Emerging Technologies 1(2), 2010,pp. 18-20. Peck, M.ACell Image Segmentation of Gastric Cancer Based on Region-Growing and Watersheds.. 2002. Quebec City, Que. : Univelt Inc.
 Nilanjan Dey, Arpan Sinha, Arpan Sinha, “A Novel Approach of Watershed Segmentation of Noisy Image Using Adaptive Wavelet Threshold”, (IJCSIT) International Journal of Computer Science and Information Technologies, Vol. 2 (6) , 2011, pp. 2686-2690. Singhal, Amit ,"Modern Information Retrieval: A Brief Overview". Bulletin of the IEEE Computer Society Technical Committee on Data Engineering 24 (4), 2001, pp. 35–43. Raman Maini & Dr. Himanshu Aggarwal “Study and Comparison of Various Image Edge Detection Techniques “International Journal of Image Processing (IJIP), Jan-Feb 2009, Volume (3) Issue (1), pp.1-11. Bhandarkar, S.M., Hui, Z., 1999. Image segmentation using evolutionary computation. IEEE Trans. Evolut. Comput. 3 (1), pp. 1–21. D. Wang, “A multiscale gradient algorithm for image segmentation using watersheds,” Pattern Recognition, vol. 30, no. 12, 1997, pp. 2043–2052. Kim, J.B., Kim, H.J., 2003. Multi-resolution –based watersheds for efficient image segmentation. Patt. Recogni. Lett. 24, pp. 473-488. Q. Huynh-Thu and M. Ghanbari, "Scope of validity of PSNR in image/video quality assessment," Electronics Letters, vol. 44, no. 13, June 2008, pp. 800-801. Abstract: Electric Discharge Machining has been established as standard process for machining of electrically conducting hard materials. The intrinsic nature of the EDM process results in electrode wear while machining the workpiece. The electrode wear rate as response parameter is required to be studied for maximum performance of the electrode while machining the work piece. Therefore it is desired to find the effect of EDM process parameters on the Electrode wear. The experiments have been performed with Cu-Mn composite material electrodes on hardened EN-31 die steel as work piece. The composite material electrodes were made through the process of powder metallurgy with different ratio of Cu-Mn metallic powders. It has been observed that Copper-Manganese composite material electrode made with 80-20 weight ratio gives less electrode wear rate as compared to copper-manganese (weight ratio 70-30) composite material electrodes for machining of work piece. Abstract: India is currently largest producer of Cane-Sugar in the world accounting for 10% of the world production. Most Cane –Sugar factories have been designed to be energy self-sufficient with sugar as the Primary product. With the recent trend toward diversification in the Cane-Sugar Industry, a growing no. of factories are manufacturing one or more byproducts (such as alcohol or cogenerated electricity for export to the utility grid) in addition to Sugar and Mollases. Co-generation is the concept of producing two forms of energy from one fuel. One of the forms of energy must always be the heat and the other may be electricity or mechanical energy. A method for establishing unit costs of delivered steam and electrical energy is presented. This method employs the use of least squares, based on a linear model of electrical energy generation and delivered steam as functions of generated boiler steam. A discussion of the accuracy of the method is presented as well as an example of the use of the method using four months of actual plant production. An excel program is discussed for solving the solution of simultaneous equation generated after least squares approximations. Accordingly comparision among all the adopted methods are carried out. This helps in betterapproximation for evaluation of per unit cost for a cogeneration system , which is further used for determining the correct pay-back period of the plant. Keywords: Cogeneration, costs, least squares methods, steam generation, steam turbines, surface fitting. 1. J. Beck and K. Arnold, Parameter Estimation. New York: Wiley, 1977. 2. S. Conte and C.de Boor, Elementary Numerical Analysis. New York: Mc Graw-Hill, 1980. 3. Robert L. McMasters, Estimating Unit Costs in a Co-Generation Plant Using Least Squares. IEEE transactions on power systems, Vol. 17, No. 2, May 2002. 4. G.S.S. Bhishma Rao, Probability and statistics for engineer, fourth edition, Scientec Publications, pp. 124-136. 5. Manish Goyal, Computer based numerical and statistical techniques, Laxmi Publications Pvt. Ltd.,New Delhi, pp 522-523. 6. B.R.Gupta, Generation, transmission, and distribution of electrical energy, S. Chand Publications, New Delhi, pp-223-235. 7. Steven C Chapra & Raymond P Canale, “Numerical Methods for Engineers” New York: Mc Graw-Hill, pp.234-247. 8. Samsher Kadir Sheikh and Manik Hapse, “Unit Cost Estimation in Sugar Plant Using Multiple Regression Least Square Method” IJAET, Sept. 2011. Abstract: the importance of a business continuity and disaster recovery plan to an organization cannnot be over-emphasised. Business continuity in an organization serve as a lifeline to organizations when a disasteer event occurs. This study emphasises on the need for effective business continuity and disaster recovery plan in higher education institutions by evaluating universities in north cyprus’ disaster recovery mechanism.Deming circle approach was used in evaluation with questions asked to respondents based on the four different stages of the Deming circle. Keywords: Business Continuity, Deming Circle, Disaster, Disaster Recovery. 1. M. Dey, "Busness Contiinuity Planning Methodology-Essential For Every Business," in IEEE GCC conference and exhibition (GCC), Dubai United Arab Emirates, 2011. 2. R. Cruz and D. V. Russel, "Business Continuity Planning and Disaster Recovery Planning," in The CISSP Prep Guide Gold Edition, indianapolis, Wiley Publishing, Inc., Indianapolis, Indiana, 2003, pp. 377-408. 3. Suraj Prakash, M. Sneha , W. Abdul and S. Sundaram , "Disaster Recovery Services in the Cloud for SMEs," in IEEE Proceedings of 2012 International of Cloud Computing, Technologies, Applications & Management, 2012. 4. O. H. Alhazmi and Y. K. Malaiya, "Evaluating Disaster Recovery Plans Using the Cloud," in Reliability and Maintainability Symposium (RAMS), 2013 Proceedings - Annual, 2013. 5. O. A. Jackson, "The Impact of the 9/11 Terrorist Attacks on the US Economy. Journal of 911 studies," 2008. [Online]. Available: http://www.journalof911studies.com/volume/2008/OliviaJackso n911andUS-Economy.pdf. [Accessed 3 April 2014]. 6. M. E. Baird, "The Recovery Phase of Emergency Management," january 2010. [Online]. Available: http://www.vanderbilt.edu/vector/research/recoveryphase.pdf. [Accessed 4 april 2014]. 7. M. Gosling and H. Andrew, " Business Continuity Statitics: Where Myth Meets Fact," 24 april 2009. [Online]. Available: http://www.continuitycentral.com/feature0660.html. [Accessed 16 april 2014]. 8. R. J. Witty, "2005 BCM/DR Survey Results From Gartner, DRJ," Disaster Recovery Journal, vol. 19, no. 4, pp. 1-4, 21 march 2014. 9. T. Costello, "Business Continuity: Beyond Disaster Recovery," IEEE Computer Society Journal, vol. 14, no. 5, p. 64, 2012. 10. R. Cegiela, "Selecting Technology for Disaster Recovery," in Proceedings of the International Conference on Dependability of Computer Systems, 2006. 11. J. Smith, "Strategy Continuity Planning: The first Critical Step," Journal of Business Continuity & Emergency Planning Volume 7, vol. 7, no. 1, p. 6, 2013. 12. M. Wallace and W. Lawrence , Disaster Recovery Handbook, New york: AMACOM books, 2004.
room/analysts-program/analyst-trip wire-schultz. [Accessed 12 april 2014]. 14. V. Maheshwari, Rahul, Kumar Gaurav and Chandan Kumar Singh, "Business Continuity Project Planning Process for Educational institutes," International Journal of Disaster Recovery and Business Continuity, vol. 1, no. 1, pp. 1-10, 2010. 15. B. Gulachek, "Business Continuity Planning: Process Impact, and Implication," Educause Centre for Applied Research, Research Bulletin, vol. 2005, no. 13, pp. 1- 9, 21 june 2005. 16. EDUCAUSE Review Online, "Top Ten IT Issues 2011," 32 may 2011. [Online]. Available: http://www.educause.edu/ero/article/top-ten-it-issues-2011. [Accessed 8 april 2014]. 17. University of Oregon’s Community Service Center, "How-To Guide Partner for Disaster Resilience," Post-Disaster Recovery Planning Forum, 2007. 18. SANS institute, "Introduction to Business Continuity Planning," 2002. [Online]. Available: https://www.sans.org/reading-room/whitepapers/recovery/introd uction-business-continuity-planning-559. [Accessed 28 mar 2014]. Abstract: Inter-symbol-Interference (ISI) caused by multipath propagation has made high speed broadband communication a backbreaking task. Time reversal transmission method makes use of the behaviour of multipath environment by converging energy in the temporal and spatial domains. In this paper, a wireless channel access method named time reversal division multiple access (TRDMA) is being proposed. The system performances with multiple-transmit-antenna scheme using TRDMA is investigated in terms of the bit-error-rate, the effective signal-to-interference-plus-noise-ratio, the achievable sum rate and the outage probability. Also, the bit error rate improvement over code division multiple access method (CDMA) is also evaluated. Satisfying simulation results are obtained using the multiuser downlink systems of the proposed method which makes it a high speed broadband wireless communication method in the future. 1. G. J. G. Proakis, Digital Communications, 4th edition. McGraw-Hill,2001. 2. G. L. Stuber, Principles of Mobile Communications, 2nd edition. Kluwer, 2001. 3. J. Goldsmith, Wireless Communication. Cambridge University Press,2005. 4. D. Tse and P. Viswanath, Fundamental of Wireless Communication.Cambridge University Press, 2005. 6. W. A. Kuperman, W. S. Hodgkiss, and H. C. Song, “Phase conjugation in the ocean: experimental demonstration of an acoustic time-reversal mirror,” J. Acoustic Society America, vol. 103, no. 1, pp. 25–40, Jan.1998. 7. H. C. Song, W. A. Kuperman, W. S. Hodgkiss, T. Akal, and C. Ferla,“Iterative time reversal in the ocean,” J. Acoustic Society America, vol. 105, no. 6, pp. 3176–3184, June 1999. 8. D. Rouseff, D. R. Jackson, W. L. Fox, C. D. Jones, J. A. Ritcey, and D. R. Dowling, “Underwater acoustic communication by passive-phase conjugation: theory and experimental results,” IEEE J. Oceanic Eng., vol. 26, pp. 821–831, 2001. 9. Derode, A. Tourin, J. de Rosny, M. Tanter, S. Yon, and M. Fink “Taking advantage of multiple scattering to communicate with timereversal antennas,” Phys. Rev. Lett., vol. 90, pp. 014301-1–014301-4,2003. 10. D. Rouseff, D. R. Jackson, W. L. J. Fox, C. D. Jones, J. A. Ritcey, and D.R. Dowling, “Underwater acoustic communication by passive-phase conjugation: theory and experimental results,” IEEE J. Oceanic Eng., vol. 26, pp. 821–831, 2001. 11. G. F. Edelmann, T. Akal, W. S. Hodgkiss, S. Kim, W. A. Kuperman, and H. C. Song, “An initial demonstration of underwater acoustic communication using time reversal,” IEEE J. Oceanic Eng., vol. 27, pp.602–609, 2002. 12. S. M. Emami, J. Hansen, A. D. Kim, G. Papanicolaou, and A. J. Paulraj, “Predicted time reversal performance in wireless communications,” IEEE Commun. Lett., 2004. 13. M. Emami, M. Vu, J. Hansen, A. J. Paulraj, and G. Papanicolaou, “Matched filtering with rate back-off for low complexity communications in very large delay spread channels,” in Proc. Asilomar Conf. Signals, Syst. Comput., vol. 1, pp. 218–222. 14. H. Nguyen, Z. Zhao, F. Zheng, and T. Kaiser, “Pre-equalizer design for spatial multiplexing SIMO UWB systems,” IEEE Trans. Veh. Technol.,vol. 59, no. 8, pp. 3798–3805, Oct. 2010. 15. T. K. Nguyen, H. Nguyen, F. Zheng, and T. Kaiser, “Spatial correlation in SM-MIMO-UWB systems using a pre-equalizer and pre-rake filter,”2010 IEEE International Conf. Ultra-Wideband. 16. T. K. Nguyen, H. Nguyen, F. Zheng, and T. Kaiser, “Spatial correlation in the broadcast MU-MIMO UWB system using a pre-equalizer and time reversal pre-filter,” 2010 International Conf. Signal Process. Commun. Syst. 17. Feng Han,Yu-Han Yang,Beibei Wang,Yongle Wu,and K. J. Ray Liu,”Time reversal division multiple access over multipath channels”. IEEE transactions on communications, vol. 60, no. 7, july 2012. Abstract: The main objective of this study was experimentally to analyse the micro organisms isolated from soil samples from various areas and to find the isolated species by subjected them to polymerase chain reaction (PCR) and then elute the amplified product again using PCR. Then the eluted sample sent to sequencing to identify the bacteria which was present in the sample. Keywords: micro organisms, polymerase, bacteria. 1. Yeates C, Gillings MR, Davison AD, Altavilla N, Veal DA. PCR amplification of crude microbial DNA extracted from soil. Letters in Applied Microbiology. 1997;25:303–307. 2. Atlas RM. Diversity of microbial communities. Advances in Microbial Ecology. 1984;7:1–47. Abstract: This paper focuses primarily with homomorphic hashing and the quality of peer-to-peer content distribution. Some systems using simple block-by-block downloading can verify blocks with traditional cryptographic signatures and hashes, but these techniques do not apply well to more elegant systems that use rate less erasure codes for efficient multicast transfers. This paper presents a practical scheme, based on homomorphic hashing, that enables a downloader to perform on-the-ﬂy veriﬁcation of erasure-encoded blocks. Peer-to-peer content distribution networks can suffer from malicious participants that intentionally corrupt content. Traditional systems verify blocks with traditional cryptographic signatures and hashes. However, these techniques do not apply well to more elegant schemes that use network coding techniques for efficient content distribution. Problems that occur with these techniques are that peers have no way of knowing which block was bad if a piece they download fails hash check, and if they’re streaming data they can’t display it until a full piece is downloaded for hash verification purposes. Also there is a huge waste of bandwidth when a piece does not pass hash check, in fact, the peer must discard all the blocks (even all the correct ones) and then re-download all the blocks within the piece. It is better to discard only bad blocks, and re-download only them which will save bandwidth. Identifying such bogus blocks is difficult and requires the use of homomorphic hashing functions. This paper deals with reducing the bogus blocks by implementing homomorphic hashes on the blocks and using Luby Transform Codes on peer to peer networks. 5. An Approach for System Scalability For Video on Demand” By- V.B. Nikam , Kiran Joshi , B.B. Meshram. 10. L. Rizzo, “Effective erasure codes for reliable computer communication protocols,” ACM Computer Communication Review, vol. 27, no. 2, Apr.1997. 11. S. Saroui, K. P. Gummadi, R. J. Dunn, S. D. Gribble, and H. M. Levy, “An analysis of Internet content delivery systems,” in Proc. 5th Symposium on Operating Systems Design and Implementation (OSDI), Boston, MA, Oct. 2002. 12. M. Luby, M. Mitzenmacher, A. Shokrollahi, D. Spielman, and V. Stemann, “Practical loss-resilient codes,” in Proc. 29th Annual ACM Symposium on Theory of Computing (STOC), El Paso, TX, May 1997. 13. M. Luby, “LT codes,” in Proc. 43rd Annual Symposium on Foundationsof Computer Science (FOCS), Vancouver, Canada, Nov. 2002. 14. P. Maymounkov, “LT codes,” NYU, Tech. Rep. 2002-833, Nov. 2002. 15. L. Rizzo, “Effective erasure codes for reliable computer communication protocols,” ACM Computer Communication Review, vol. 27, no. 2, Apr.1997. 16. Shokrollahi, “Raptor codes,” Digital Fountain, Inc., Tech. Rep. DF2003-06-001, June 2003. 18. P. Maymounkov and D. Mazi`eres, “Rateless codes and big downloads,” in Proc. 2nd International Workshop on Peer-to-Peer Systems (IPTPS), Berkeley, CA, Feb.
19. T. P. Pedersen, “Non-interactive and information-theoretic secure verifiable secret sharing,” in Advances in Cryptology—CRYPTO ’91, Santa Barbara, CA, Aug. 1991. 20. D. Chaum, E. van Heijst, and B. Pfitzmann, “Cryptographically strong undeniable signatures, unconditionally secure for the signer,” in Advancesin Cryptology—CRYPTO ’91, Santa Barbara, CA, Aug. 1991.